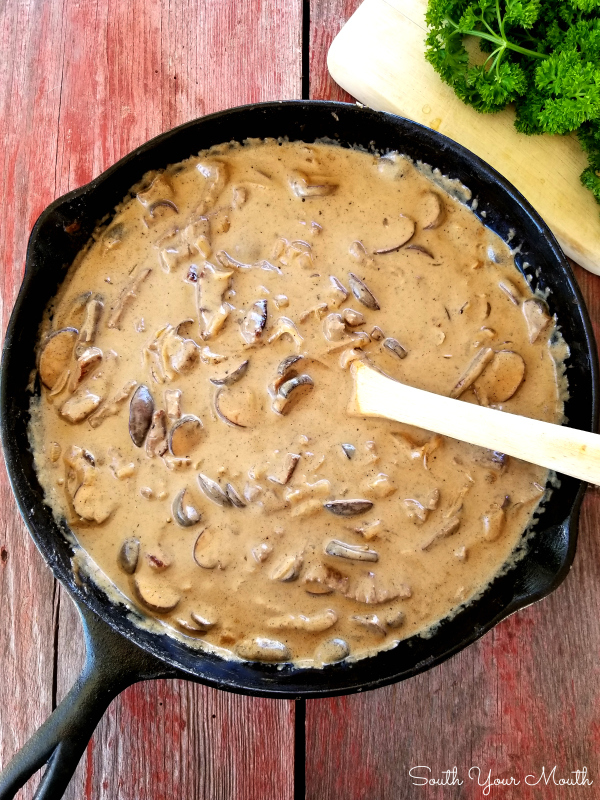 An easy-to-follow recipe for classic Beef Stroganoff with tender strips of steak, sliced mushrooms and sauteed onions in a velvety sauce made with real sour cream. You know how there are certain favorite recipes that you associate with people? Like, when I think of chicken and dumplings, I think of my Nanny. And how I’d walk into her house and there would be strips of pastry covering every surface of her kitchen and dining room and I knew it meant she was cooking my favorite – her chicken and dumplings! Or when I think of the best biscuits ever made in the history of the world I think of my Aunt June and how she could expertly cut shortening into a plastic bowl of flour, pour in a little milk, work her hands like some sort of magician and 20 minutes later we’d have a pan of biscuits so perfect nothing has ever compared. Cinnamon rolls make me think of Granddad. Stewed beef and rice: Daddy. 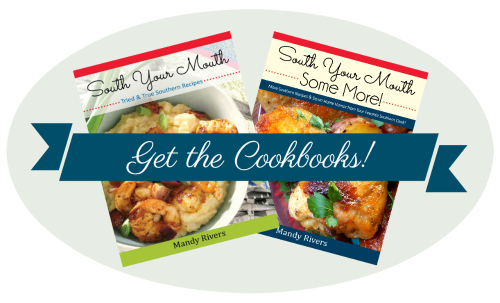 A Low Country shrimp boil: Mama. Or maybe this is all just a testament to how long I’ve been obsessed with delicious food! Ha! Well, when I think of Beef Stroganoff, I think of Uncle Tyrone. It was his specialty and he was goooooood at it! Growing up, we often spent Saturday evenings with my various aunts and uncles, alternating supper at their houses or ours. When Mama would tell me we were going to Uncle Tyrone’s to eat Beef Stroganoff, my heart would smile because it was always so delicious and he only made it once a year or so, so it was a big deal! Of all the regrets I have in life, somewhere on the list are not getting Nanny to teach me how to make her chicken and dumplings, not learning how to make Granddad’s cinnamon rolls and not getting Uncle Tyrone to show me how to make his beef stroganoff before each of them passed away. 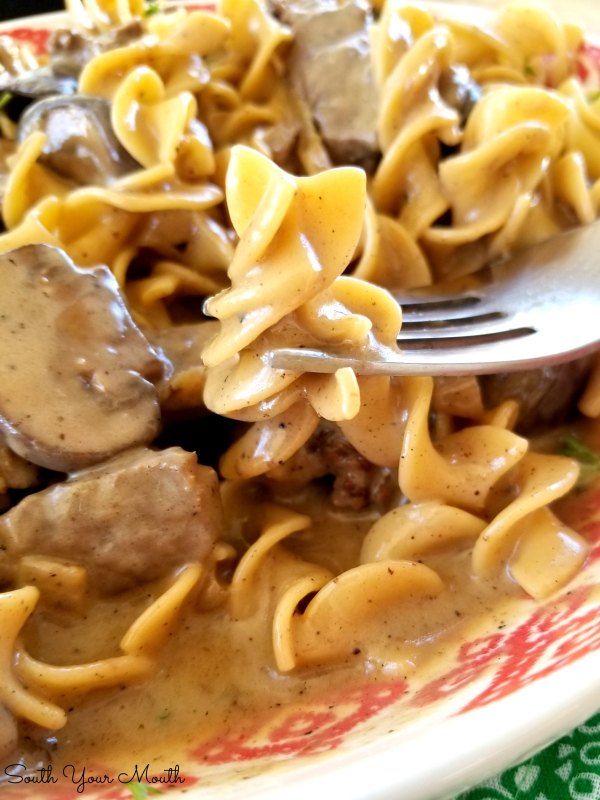 This weekend, I decided I was going to try to make beef stroganoff! 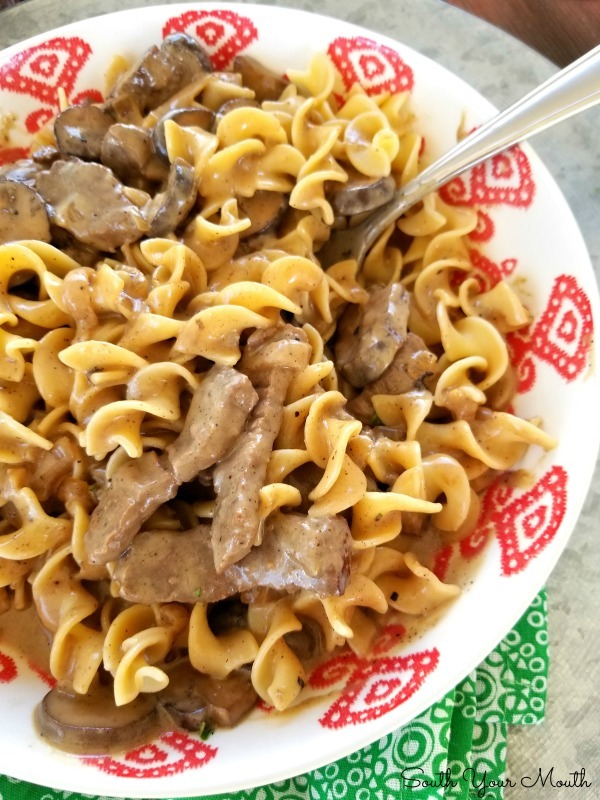 I did a ton of research, scratched out a recipe game plan then camped out in the kitchen and said I wasn’t coming out until I’d created the perfect recipe for beef stroganoff. And, um... not to brag or anything… but… ummm… I totally nailed it! Like, TOTALLY NAILED IT! You need to use a good cut of meat – one that is tender with a bit of marbling. I was tempted to buy some cheap cuts that looked like they would work but had read enough to know that was a mistake. And why would I want to risk a perfect pot of stroganoff to save, what? Five bucks? I used USDA Prime sirloin (rated “prime” because of the abundant marbling). You’ll need to sear small batches of the beef in a smoking hot skillet for about a minute per batch to ensure the meat is tender. Don’t overcrowd the pan and make sure your skillet is HOT to ensure the meat doesn’t end up boiling in its own juices. We’re using a vegetable oil instead of olive oil because it can be heated to a higher temperature than olive oil. We’re going to cook the stroganoff in several steps. We’ll first sear the beef, then we’ll sauté the mushrooms, then we’ll cook the onions in butter, then we’ll add some flour to create sort of a roux. Season each step with salt and pepper to layer the flavors throughout. Hot dishes made with sour cream will often separate and appear curdled which is very unappealing to look at. Seriously, if you’re going to all this effort to cook such an amazing recipe, take a minute to temper the sour cream to make sure your stroganoff looks as good as it tastes. All you need to do is slowly stir in about a cup of the sauce into a bowl with the sour cream to bring it up to a warmer temperature before adding it to the sauce. Once everything comes together, we’re going to slowly and gently simmer it to allow the beef to finish cooking and become tender as butter. Once the beef is added to the sauce be sure to never let the sauce cook harder or hotter than a slow, gently bubbling simmer. I know all that seems fussy but I promise it’s not! We’re just searing some meat, cooking up some mushrooms and onions then putting together an easy sauce. Once you get cooking, this comes together in about 30 minutes! When I was doing my research, I didn’t see too many recipes that included garlic, so I think maybe it’s not a traditional ingredient but I just couldn’t help adding a little because steak + onions + mushrooms is a combo I just love to have with garlic! It just goes together to me. Many of the recipes I researched included a little bit of an acidic ingredient like dijon mustard or tomato paste which makes sense to use when cooking something so rich and creamy. I decided to add a splash of worcestershire sauce to mine for that touch of acid and I was so glad I did! That tiny teaspoon really brightened up the sauce! I’m thinking regular ol’ white button mushrooms are probably more traditional than the baby bellas I used here but I chose them because, well, the white button mushrooms looked like they’d seen better days at the market that day so I went with the baby bellas instead! 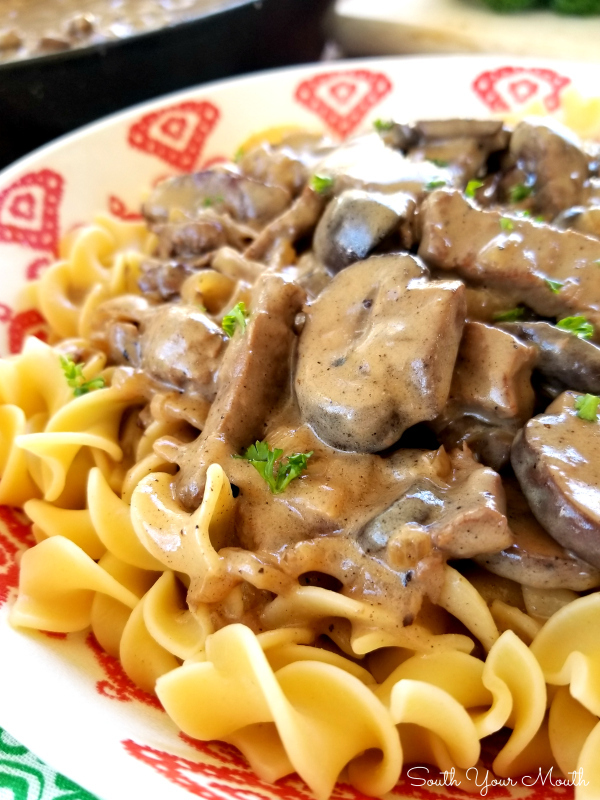 So, anyway, here’s my recipe for beef stroganoff and, I’ve got to tell ya, of alllll the recipes I’ve crafted over alllll these years, this one just might be one I’m most proud of. And I think maybe Uncle Tyrone would be too. Slice steak into thin bite-sized strips then season well with salt and pepper. Heat a large skillet over high heat. Add just enough vegetable oil to cover the bottom of the skillet then quickly sear steak in small batches (about a minute per batch should be all you need if your pan is good and hot). Remove seared steak from skillet and set aside. Reduce heat to medium-high. Sauté mushrooms until tender, seasoning well with salt and pepper. Add a little more vegetable oil if necessary. Once mushrooms are tender, remove from skillet and set aside. Drain any liquid or excess oil from skillet if necessary. Add butter and onions to skillet, season well with salt and pepper then sauté about 5 minutes or until onions are translucent, scraping up all the browned bits from the bottom of the skillet. Reduce heat to medium then add flour to the onions. Cook and stir for 3 minutes. Add about 2 cups of broth to the onions and flour and whisk continuously until mixture begins to thicken. As mixture thickens, add more broth and continue whisking until broth has thickened to the consistency of a light gravy (add water if 4 cups of broth isn’t enough – I used 3.5 cups in this batch). Reduce heat to medium/low. Add sour cream to a bowl then slowly stir in about a cup of the sauce to temper the sour cream. Add garlic powder, worcestershire sauce, seared steak with any rendered juices, sautéed mushrooms and sour cream mixture to the sauce then bring to a slow simmer. Taste for seasoning then add salt and pepper if desired. Once gently simmering, cook for 5 minutes. Serve over hot cooked egg noodles (or mashed potatoes or rice). Garnish with fresh chopped parsley if desired. We want 1.5 pounds of steak after any fat has been trimmed away. If the steak you are buying has a fair amount of fat, buy slightly more than 1.5 pounds to account for unusable trimmings. 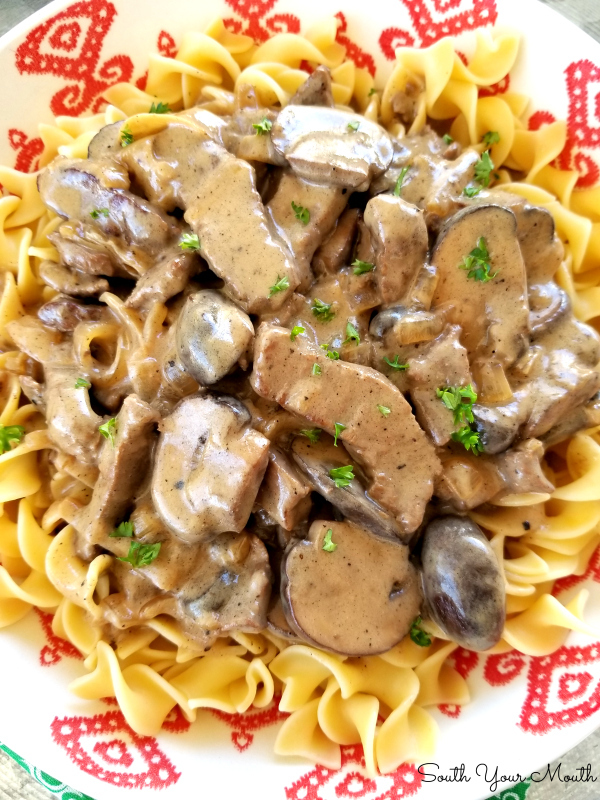 So long as you season the steak, mushrooms and onions as you cook each and you use regular beef broth (not low sodium) you likely won’t need to add more salt to the stroganoff. Don’t use fat free or reduced fat sour cream. Once you bring everything together, do not let the stroganoff come to a boil to prevent the meat from becoming tough. Cooking it gently at a slow bubbling simmer will ensure every bite is perfectly tender. psssst! If you love saucy main dishes with mushrooms, check out this recipe for Chicken Breasts with Mushroom Cream Sauce too! Hey girl, looks amazing!! I was wondering what you thought about subbing stew meat and cooking it in the crockpot? Obviously doing the sour cream right before serving. Hi there! Well... searing and sauteing the layers of ingredients is what builds the flavors so I don't think I would try this recipe in a crock pot. I just made Beef Stroganoff for dinner yesterday. I wish I had your recipe before I made it. Some pieces of the beef I used were a little tough. I felt like we had to chew it a couple of minutes. Quite a few minutes :-( Now I know why. Your method is very similar to the one I currently use. The flavors are SO much better if they are done separately and then combined. I also not only use Worcestershire, but a couple shakes of Asian fish sauce and a tiny bit of soy sauce. I also make my own stocks and broths, so I always have frozen beef and mushroom stock available. This dish has also always been a "leftover treat" one for my family. I had some leftover grass-fed chuck roast I had braised in a wine sauce a couple days ago, so I sliced that up and added it to the sauce once it was at the simmering state. If not re-purposing a previous dinner, I like chuck eye steak. Basically it's poor man's rib eye, so if you can get it, you can have your rib-eye at a fraction of the cost! Everything else is just spot on. I felt like I was visiting with my sister reading it! 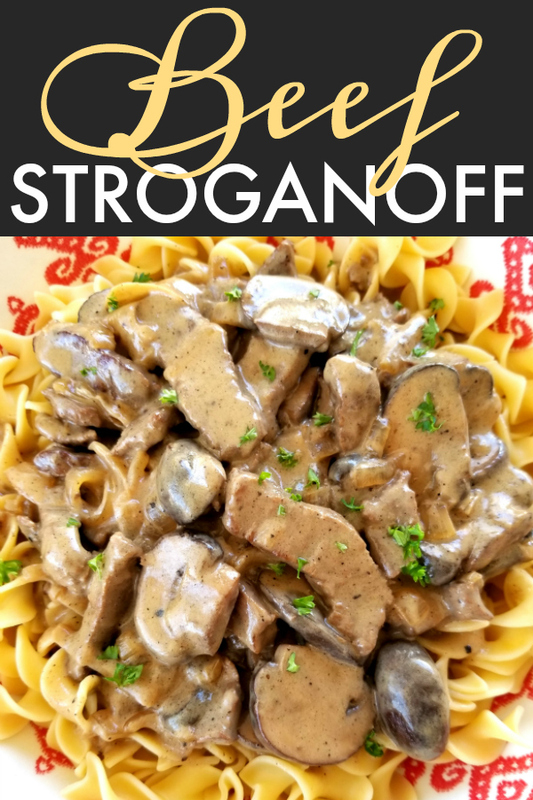 This stroganoff looks so creamy and delicious. Anything served over noodles is a win in my book!